As discussed in previous posts, the “Three” Wise Men came from the “east,” traditionally held as Persia. Here is a painting of “Three Wise Men” wearing Mithras caps, displayed at Basilica of Sant' Apollinare Nuovo in Ravenna, Italy. The reported 3 Magi (wise men) from the East: Balthasar, Melchior and Caspar (a.k.a. Casper of Gasper). Alternately they were called Bithisarea, Melichior and Gathasp. Subsequent traditions embellished the narrative. In the 3rd century the magi were considered to be kings. In Western churches, Balthasar is often represented as a king of Arabia or Ethiopia, Melchior as a king of Persia, and Gaspar as a king of India. 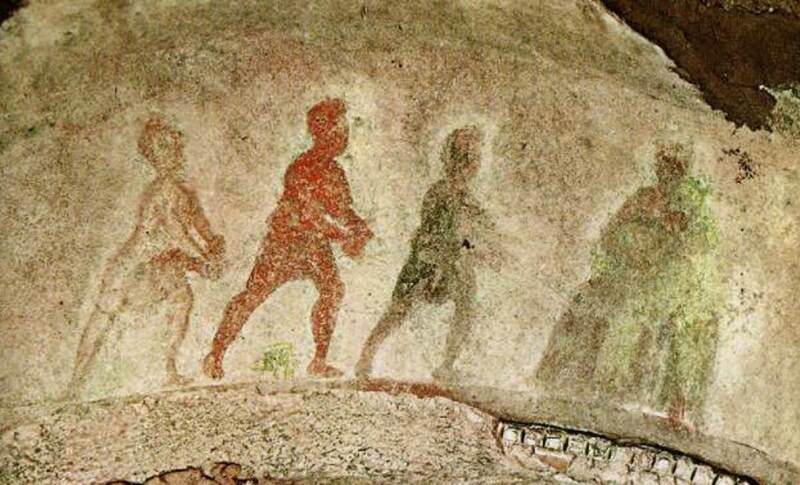 The Adoration of the Magi became one of the most popular themes in Christian art, the first known painting on the subject is the fresco in the Priscilla Catacomb of Rome from the 2nd century. Mithras is almost always pictured wearing a Mithras cap, also known as a Phrygian cap. Here is a map showing where Phrygia was located, in the Persian Empire, where Mithraism flourished. Note that the early inhabitants were the Ashkenazi. 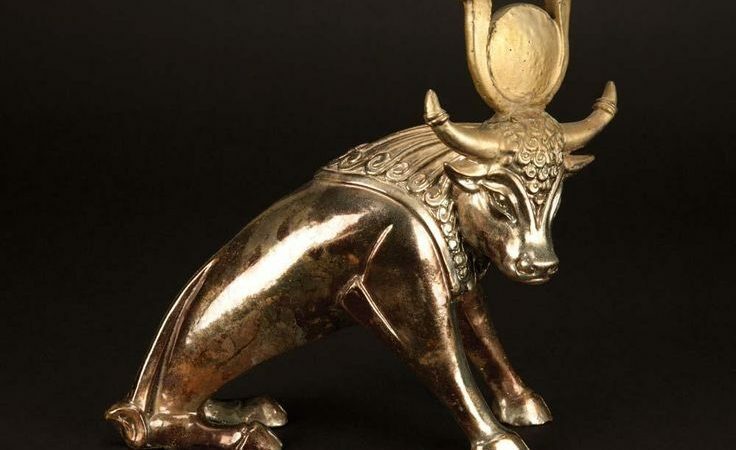 A lot of different connections are going to be made in this thread - Mithras, Phrygia, Phrygian cap, Ashkenazi, St. George, and more. Do you want even more connections?!? Phrygian helmet, a form of helmet suggesting the classical Phrygian cap. This form, which Is very rare in medieval representations, is given to St. George, possibly with intention on the part of the artist to denote the Oriental origin of the saint. 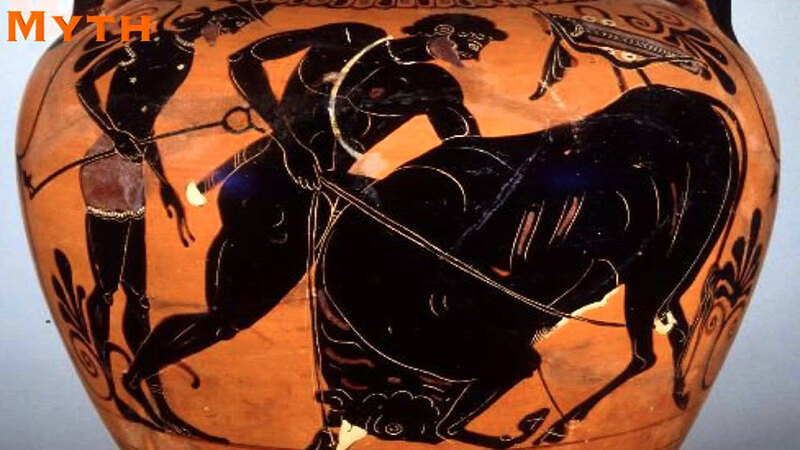 Sabazios is the horseman and sky father god of the Phrygians and Thracians. Probably the god's origins are in Macedonia and Thrace. 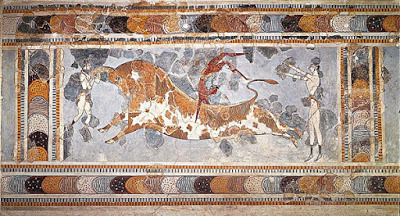 The migrating Phrygians brought Sabazios with them to Anatolia in the early first millennium BC. 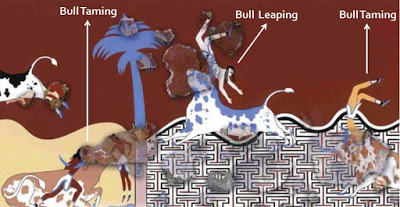 One of the native religion's creatures was the Lunar Bull. Under Roman Emperor Gordian III (of the knot? ), probably from an Anatolian family, the god on horseback appears on coins minted at Tlos, in neighboring Lycia, and at Istrus, in the province of Lower Moesia, between Thrace and the Danube. 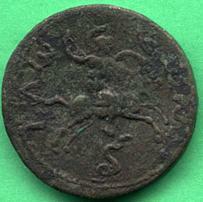 See the coin with the riding god and serpent. Last edited by Firestarter on Tue Jan 22, 2019 4:22 pm, edited 1 time in total. There were 3 gifts mentioned in the Bible - gold, frankincense and myrrh - which is supposedly where the tradition of 3 Wise Men came from. I am not familiar with any 12 gifts. Of the three sons of Gomer, Aschanax founded the Aschanaxians, who are now called by the Greeks Rheginians. So did Riphath found the Ripheans, now called Paphlagonians; and Thrugramma the Thrugrammeans, who, as the Greeks resolved, were named Phrygians. So according to Flavius Josephus, the Phrygians were descendants of Togarmah, also spelled Thrugramma, the brother of Ashkenaz. Now these are the generations of the sons of Noah, Shem, Ham, and Japheth: and unto them were sons born after the flood. The sons of Japheth; Gomer, and Magog, and Madai, and Javan, and Tubal, and Meshech, and Tiras. And the sons of Gomer; Ashkenaz, and Riphath, and Togarmah. And the sons of Javan; Elishah, and Tarshish, Kittim, and Dodanim. By these were the isles of the Gentiles divided in their lands; every one after his tongue, after their families, in their nations. TOGARMAH Togar'mah, a son of Gomer, of the family of Japheth, and brother of Ashkenaz and Riphath. Gene 10:3 His descendants became a people engaged in agriculture, breeding horses and mules to be sold in Tyre. Ezek 27:14 They were also a military people, well skilled in the use of arms. Togarmah was probably the ancient name of Armenia. Phrygia was a favorable soil for the development of error. "Cosmological speculation, mystic theosophy, religious fanaticism, all had their home there." The leading worship was that of Cybele, the great Mother of the Gods, which was spread over Asia Minor generally, and especially prevailed in Mysia and Galatia. It was orgiastic, accompanied with frenzied dances, howlings, and self-mutilations. Phrygia was also the home of Ophitism, or serpent-worship. Montanism, with its ecstasy and trance, its faith-cures, its gloomy asceticism, its passion for martyrdom, and its savage intolerance, owed to Phrygia its leader; and the earlier name of the sect was "the Sect of the Phrygians." Under Antiochus the Great, two thousand Jewish families had been transplanted into Phrygia and Lydia; and while the staple of the church was Gentile, the epistle distinctly recognizes the presence and operation of Jewish influences (2:16-21). 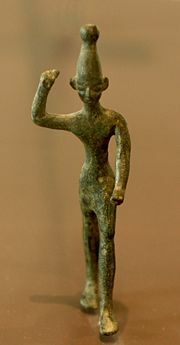 A member of a Gnostic body, of very early origin, especially prominent in the second century, and existing as late as the sixth century, its members were so called because they held that the serpent by which Eve was tempted was the impersonation of divine wisdom, the great teacher and civilizer of the human race. I sometimes think that adults are even more gullible than children. Sinterklaas wears a red hat (mijter). St. Nicholas comes from Turkey. Sinterklaas rides a white horse (schimmel); like St. George. Christmas is staged on 25 December; the day the Romans celebrated the birth day of Mithras. In Christmas festivities the Christmas tree is central; Sabazios was often pictured with a fir-cone. On 25 December, the Romans also held festivities for the god Saturnus (Saturnalia). See the following image of Mithras, dressed in red, with his white horse, 4th century AD. Sinterklaas rides on a white horse (schimmel) and has black helpers (zwarte pieten). In Belgium the black helpers of Sinterklaas aren’t seen as black Africans (like the “zwarte piet” in the Netherlands) but as the “oel” demons. The mitra was originally based on the dagon hat worn by the priest in the Dagon, fish worshipping cult. Nicholas of Myra was the the son of wealthy parents. When he was young, his parents died and his uncle, the local bishop, adopted him. Nicholas later became a priest and then also a bishop. In one of those strange coincidences, Nicholas even attended the First Council of Nicaea in 325 AD, convened by Roman Emperor Constantine, that would proclaim the Bible as the word of God. What is missing in St. Nicholas is just about everything in the tale of Sinterklaas and Santa Claus. It looks like the tale of Sinterklaas was mostly based on the Norse God Odin (the tale of Santa Claus changed his home to the North Pole). One of Odin's most popular titles is – Allfather. Most historians agree that many of our Christmas traditions come from the ancient Norse festival known as Yule or Yuletide. The Norse sang Yule carols with their children singing from door-to-door wearing masks. Norse stories sometimes describe Odin flying through the sky on a chariot pulled by his 8-legged flying white horse Sleipnir, visiting homes in the middle of the night and leaving gifts for children in their boots by the fireplace during the Yule season. 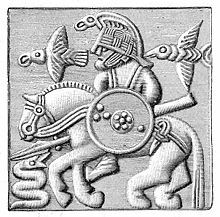 Odin also rode in a flying chariot (or sleigh) pulled by Sleipnir. Originally Santa’s single horse pulled his sleigh. This only became 8 reindeer after “Twas the Night Before Christmas” (1823). In anticipation of Odin’s return from the Great Hunt, the Yule, Norse children left their boots stuffed with straw by the fireplace. In the morning Odin had taken the straw and left sweets and presents in the boots. "a model or tableau representing the scene of Jesus Christ's birth, displayed in homes or public places at Christmas." Another interesting tale is that Saint Francis of Assisi was the first to recreate the nativity scene of Jesus in Greccio, Italy on Christmas Eve 1223 in a cave (worshipping the birth of Mithras in a cave?). Over 170 names are recorded for the Norse Odin. In German his name was Wuotan or Wotan and in old English and Saxon Woden and Wodan. Odin died either by hanging from or crucifixion on the ”world tree” (Yggdrasil). See the picture, 1895. Mithras wore a Phyrgian cap and was accompanied by a raven, a dog and a serpent (snake). Odin had 2 wolves and 2 ravens for companion. 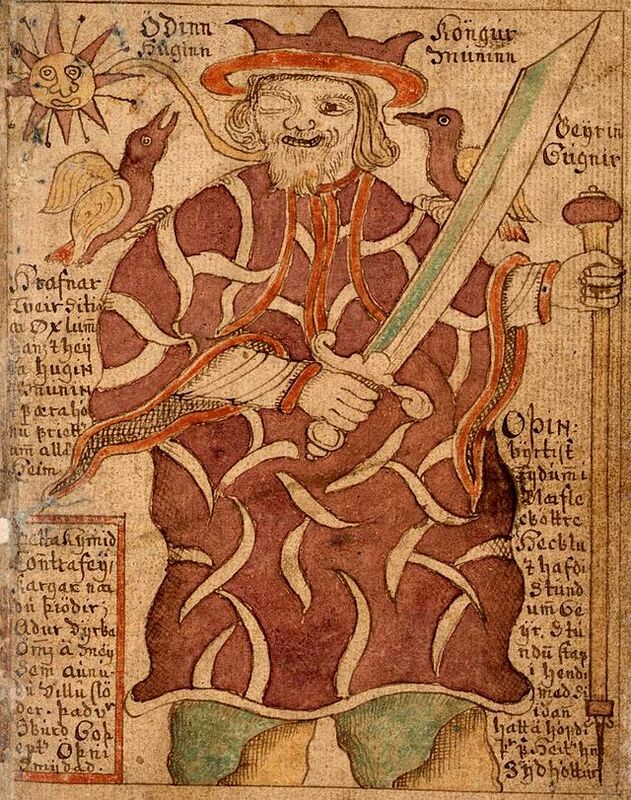 See a picture of Odin (I don’t know what the snake means). See another picture of Odin, one eye, in red with a cape and a yellow sun, with 2 ravens, 18th century. The Norse Trinity consisted of Odin (the father), his son Thor (who is crucified), and son of inspiration (the Holy Ghost) Freyr. See a detail from runestone in the Swedish Museum of National Antiquities in Stockholm. The 3 men are interpreted as Odin, Thor and Freyr. The number 12 – zodiac signs, number of months, sons of Jacob (Israel) and apostles – dates back all the way to the Sumerians. See the following Sumerian tablet, dated 3000 BC or older. In one of those strange coincidences, according to the Prose Vedda (dated 9th to 12th century), Odin (Voden), the son of Fríallaf, originally came from Thrace (now Turkey), home of snake and Mithras worshipping, before moving to what is now Scandinavia. Thursday (donderdag in Dutch) is named after Odin´s son Thor. We shall conclude our account of the tenth and last general persecution with the death of St. George, the titular saint and patron of England. St.George was born in Cappadocia, of Christian parents; and giving proofs of his courage, was promoted in the army of the emperor Diocletian. 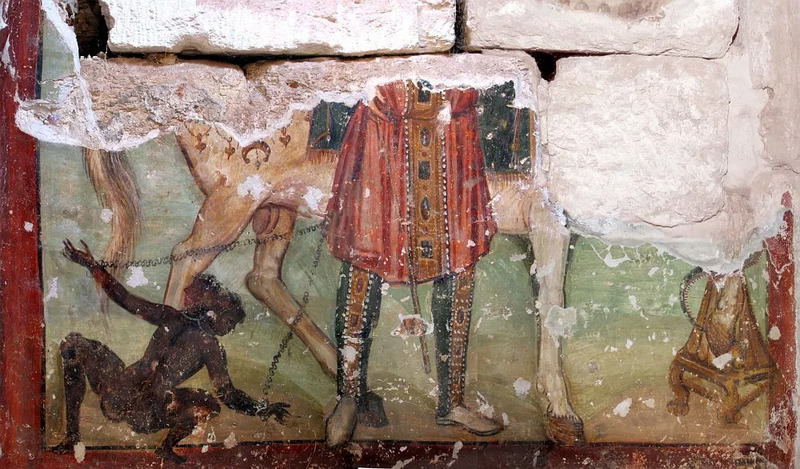 During the persecution, St. George threw up his command, went boldly to the senate house, and avowed his being Christian, taking occasion at the same time to remonstrate against paganism, and point out the absurdity of worshipping idols. This freedom so greatly provoked the senate that St. George was ordered to be tortured, and by the emperor's orders was dragged through the streets, and beheaded the next day. I´ve always found the story on the resurrection of Jesus Christ after 3 days very strange. Maybe I´ve watched too many horror movies, but are we supposed to believe that the resurrected Jesus Christ was more like a zombie or a ghost?!? In 325 AD, the sun-worshipping Roman Emperor Constantine the Great convened the Council of Nicaea that determined that Easter is on the first Sunday after the first full moon following the March equinox. According to some experts, the Easter story comes from the Sumerian legend of Damuzi and his wife Inanna, described in Sumerian clay tablets dated 2100 BC. The Babylonian names for Damuzi and Inanna are Tammuz and Ishtar respectively. When Tammuz dies, Ishtar is consumed by grief and follows him down to the Underworld. In the underworld, her worldly attire is removed, "Naked and bowed low" she is judged, killed, and then hung on display. In her absence, the earth loses its fertility, crops cease to grow and animals stop reproducing. See a clay tablet showing the Descent of Inanna. After Inanna has been missing for 3 days her assistant asks the other gods for help. Enki, him again, creates 2 creatures, who go to the Underworld to sprinkle Inanna and Damuzi with the plant and water of life, resurrecting them, so they can return to earth as the light of the sun for six months. After the six months are up, Tammuz returns to the Underworld of the dead, again followed by Ishtar, forcing the water god to rescue them both. This created the cycles of winter death and spring life. In ancient Egypt, an egg symbolised the sun, while for the Babylonians, the egg represents the hatching of the Venus Ishtar, who fell from heaven to the Euphrates. Some experts claim that Easter was originally a celebration of Eostre, goddess of Spring and fertility, otherwise known as Ostara, Austra, and Eastre. This could explain the Easter bunny and possibly the Easter eggs. The egg represents Spring, fertility and renewal. According to Germanic mythology, Ostara healed a wounded bird she found in the woods by changing it into a hare. Still partially a bird, the hare showed its gratitude to the goddess by laying eggs as gifts. 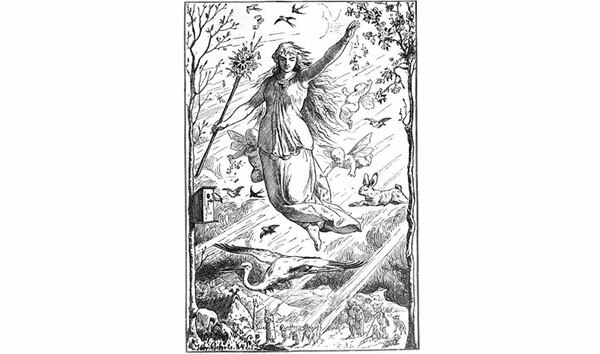 See the depiction of Ostara by Johannes Gehrts. The name “Easter” could mean that it’s just another celebration for the witches (magi) from the “East”. Some say that “Easter” is a variation of the Babylonian name for Inanna – “Ishtar”. See he Babylonian Relief of the Goddess Ishtar. According to New Unger’s Bible Dictionary: “Easter” is of Saxon origin, derived from “Eostre” a.k.a. “Eastra”, in whose honour sacrifices were offered each year about Passover. In Germany it is called “Ostern”. Easter: in Bulgarian is called “Velikden” (Grand Day), in Polish “Wielkanoc” (Grand Night), in Czech “Velikonoce” (Grand Nights) and in Slovak “Velká Noc” (the Grand Night). In Serbian “Uskrs” or “Vaskrs” (resurrection) and in Japanese “Fukkatsu-sai” (resurrection festival). In many European languages the name for “Easter” is derived from the Greek word for the Hebrew Pesach (Passover) – “Pascha”.